The conference venue is the Hotel Kolovare, located at Bože Peričića 14, 23 000 Zadar, Croatia (map). Special room rates have been arranged for the MED’18 conference participants. Details will be announced in due time. Situated in the heart of the Adriatic sea, Zadar is the urban center of northern Dalmatia region as an administrative, economic, cultural and political center of the Zadar municipality (pop. 75,000) in south Croatia. 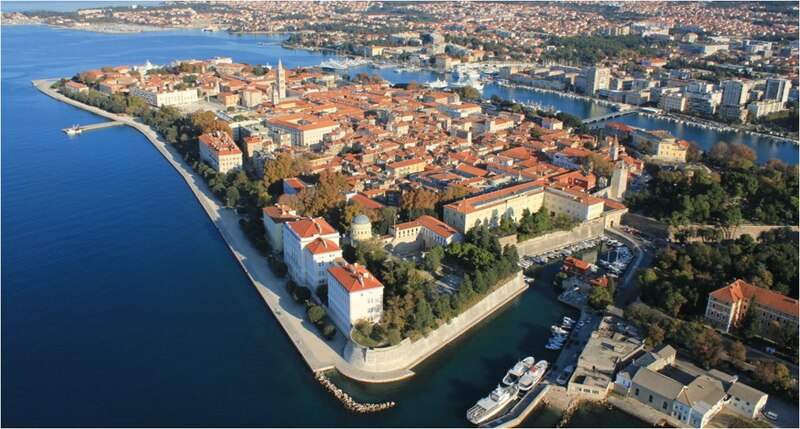 The city of Zadar has exceptional history and rich cultural heritage, spanning over 2,000 years. The Old Town, located on a natural peninsula, is surrounded by historical ramparts, within which one can find a mix of archaeological and monumental treasures from ancient and medieval times to Renaissance and contemporary architectural achievements such as the first Sea Organ in the world. In the year 2016, Zadar received the prestigious “Best European Destination 2016” award (more information: http://www.europeanbestdestinations.com/destinations/zadar/). Zadar thus finally stepped into the spotlight, leaving behind the designation of “Croatia’s most underrated destination” (as dubbed by New York Times, in 2008). For more information for visitors to Zadar, check the web site run by the Zadar Tourist Board. Once in Zadar, one should also take some time to explore the natural attractions in the area. In this line, we plan to have post-conference excursion(s). The Zadar archipelago has 24 islands and about 300 islets and reefs. The coastline is very indented, and the islands and untouched nature attract many boaters to this region. Within the 50 km (30 mi) radius there are three nature parks – Telašćica, Velebit and Vransko jezero and five national parks – Paklenica, Plitvice lakes, Kornati Islands, Krka and Sjeverni Velebit (North Velebit). For more information about Croatia, see: This is Croatia!, run by the Croatian National Tourist Board. The town of Zadar is easily reached by land, sea and air. 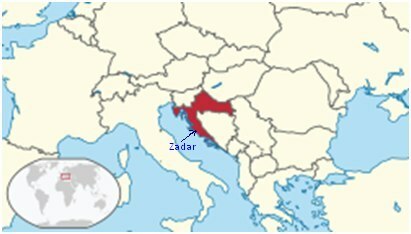 Zadar international airport (airport code: ZAD) is located 8 km (5 mi) from the center. It is small but contemporary and it offers direct flights to many European cities during the summer season (see figure below, taken in June 2017, from http://www.zadar-airport.hr/en/destinations), with new destinations added every year. Airline carriers with scheduled direct connections to Zadar include: Croatia Airlines (Star Alliance partner), Ryanair, Eurowings, Lufthansa, EasyJet, Vueling, LOT and others. In summer there are many charter flights as well. 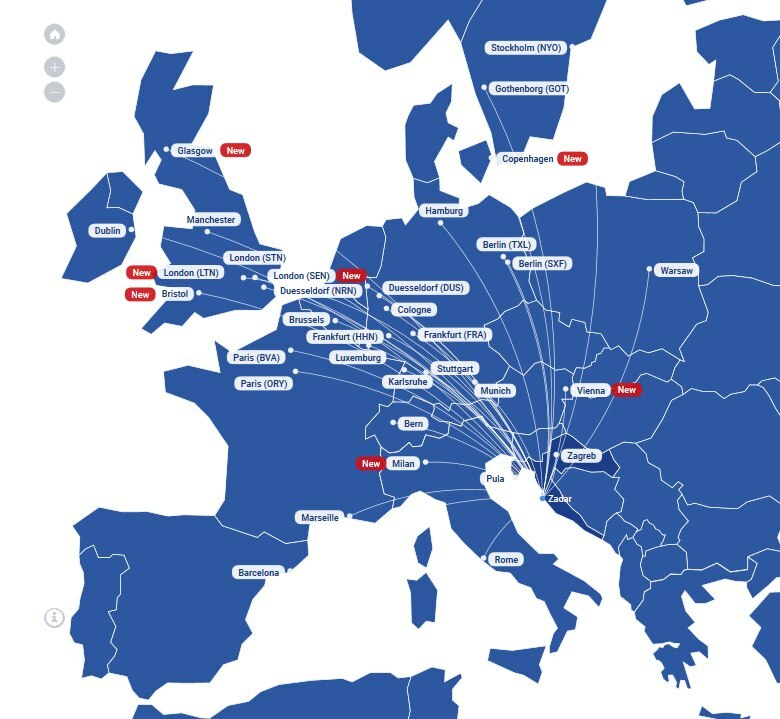 If your country or city is not on the list above, look for connections via Zagreb, as it has several (at least 3) flights per day to Zadar. Croatia Airlines is the national airline carrier of Croatia. It operates domestic and international services, mainly to European destinations, with Zagreb (Croatian capital) airport as its main hub. Zagreb Airport is called “Franjo Tuđman” (airport code: ZAG). 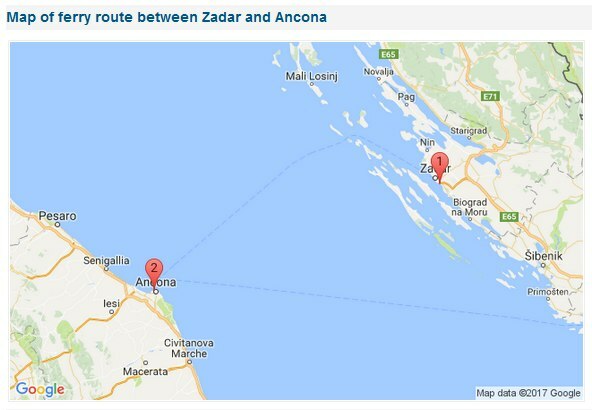 There is a ferry to Italy (Zadar-Ancona), and other locations on the Croatian Adriatic coast. The ferry port Gaženica, as well as the new tourist port for cruisers, are located about 3 km (2 mi) from the town center. There are also several marinas. There is a modern highway connecting Zadar to Zagreb (the capital city of Croatia) and other cities in Croatia and beyond. The driving distance between Zadar and Zagreb is 286 km (abt. 180 mi). Thanks to the excellent highway system in the region, driving is an attractive option for participants from neighboring countries, such as Slovenia, Austria, Hungary, Bosnia and Herzegovina, Serbia and Montenegro. See ViaMichelin for estimated time and cost of travel. Citizens of some countries need an entry visa for the Republic of Croatia. Current visa regulations are given at the Web site of the Ministry of Foreign and European Affairs. For an overview of diplomatic missions and consular offices of the Republic of Croatia and all information regarding visa requirements please check Visa requirements overview.